More than one in six people worldwide do not have access to the 20-50 liters of safe, fresh water they need per day for drinking, cooking and cleaning. 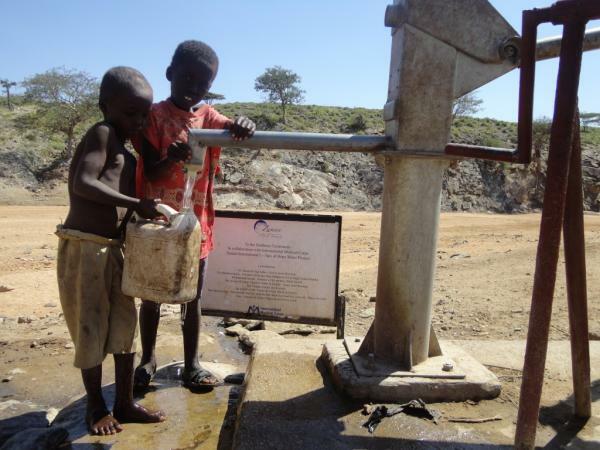 Each year, more than 3.5 million people die from water-related diseases: every 20 seconds, that person is a child. Zaman International and International Medical Corps are reaching beyond borders together through the Sips of Hope Well Campaign to provide safe drinking water to the most devastated and impoverished global communities. 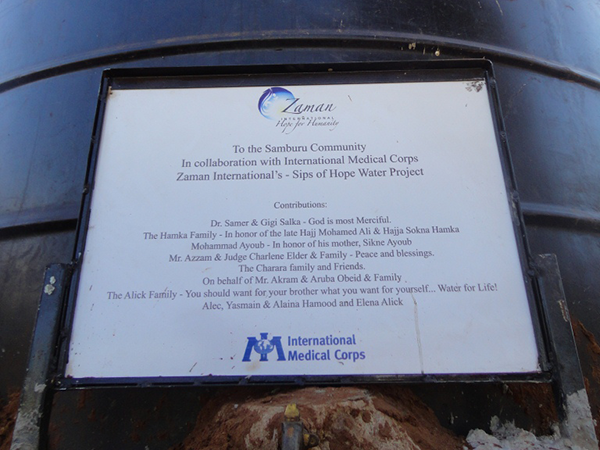 Zaman and International Medical Corps focused on providing safe, clean water in Sips of Hope’s first community project in the Samburu District of Northern Kenya. For about 230,000 people in the Samburu District – who derive their livelihood from livestock – drought threatens their very way of life. Lack of water forces many children to forgo school to migrate with their family livestock herds to far-off places in search of water. In a place where 83 percent of the people live below the poverty line, there is no safety net for many families when water becomes scarce. 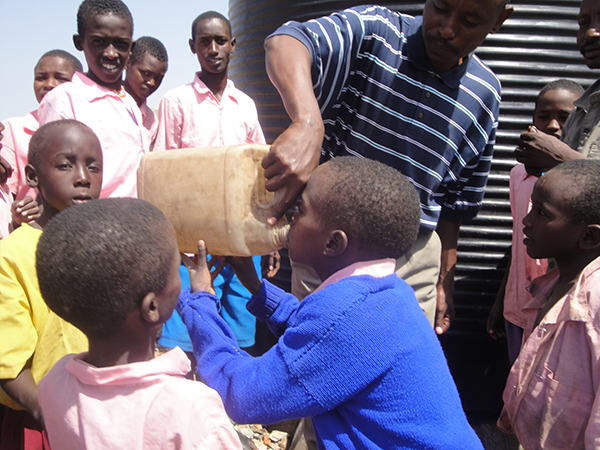 Support from Zaman and other donors increased access to water in five schools and three communities in Kenya. At the primary schools, International Medical Corps created committees to manage the use of water resources and installed rainwater harvesting systems and teaching gardens. Additionally, Zaman’s support helped provide access to clean, safe water sources, through the construction of wells, de-silting and the installation and repair of water pumps. Our donors’ contributions help to serve an estimated 40,000 adults and children. Our work continued in South-Central Somalia. Zaman helped International Medical Corps work in the area hardest hit by the 2011 famine, in which seasonal rain failures resulted in the worst annual crop production in 17 years. This work included the Abudwak District in the Galgadud Region, a remote area inhabited primarily by livestock farmers. Through the generosity of the Zaman International donors, International Medical Corps was able to provide desperately needed clean water, building resilience in two of the communities most affected: a total of 240 households and 2,107 individuals. 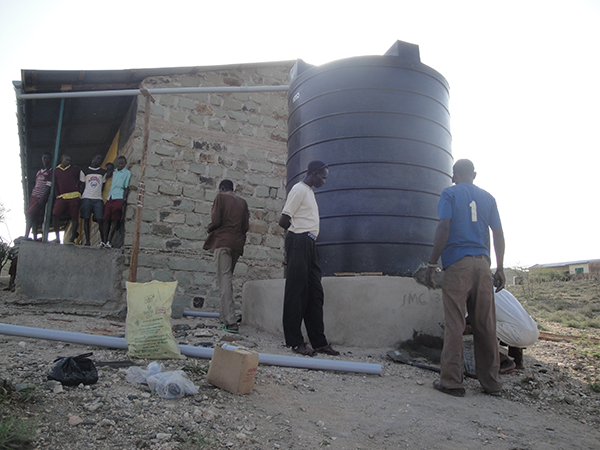 Sips of Hope provided new access to clean water through the rehabilitation of berkhads (water reservoirs) in the remote Somalia communities of Hulkujir and Sayle. Berkhads are the only source of water for households and livestock during the dry season in many areas. Access to this clean water has improved household health by reducing exposure to disease-causing bacteria, as well as maintaining healthy livestock, which translates to improved household wealth and food. In addition to the rehabilitation, with the funds raised, International Medical Corps provided six key community members with the skills necessary to ensure the berkhads continue to provide clean water to their communities for years to come. Please join us in this campaign to ensure communities around the globe achieve this basic right for all – safe, clean drinking water. Hold a fundraiser at your school or community organization to raise $5,000 to build a Sips of Hope well. Educate your children or students about clean water. Organize families and friends to name a Sips of Hope Well in honor or in memory of a loved one. For more information on the Sips of Hope Well Campaign or to support the cause, contact Zaman at info@zamaninternational.org or call (313) 551-3994.